CROSSMOS is an electronic technical logbook (eTL) developed with state-of-the-art methods and technologies. CROSSMOS consists of a service oriented architecture with modular and exchangeable components, exchangeable interfaces and separately updateable software modules. The user interface is suitable for the relevant tasks, self-descriptive, error tolerant and allows lots of individualization. Aiming to become THE standard eTL solution. Using CROSSMOS you can deliver data to your airline M&E more accurately and faster than before. With pre-populated form fields and pre-defined text-blocks you can edit the content within seconds. Run the same software on retro-fitted and integrated hardware. For detailed information refer to our CROSSMOS homepage. The Aircraft Fleet View app always is a customized development, not an off-the-shelf solution. This is because every customer uses AMOS in different ways. Currently we have several versions of the app in productive use which show, amongst others, an A/C Status with traffic light colors and drill-down to the MEL/HIL W/Os, Current Delays, Current AOGs. If you want different functionality, it is usually no problem to develop what you need. Please don’t hesitate to contact us and tell us your specific requirements. Yes, I have got specific requirements for the Aircraft Fleet View app. ILS supply chain solutions assist Aviation & Defense companies in managing their supply chain from sourcing to sale. Our solutions range from ILSmart, the most active aviation marketplace, to supply chain services that manage sales, inventory and MRO. ILS provides critical business intelligence regarding supply and demand of parts in the worldwide market. Since 1979, Inventory Locator Service,® LLC has provided information via its global electronic marketplace to enable subscribers in the aviation, defense, and marine industries to buy and sell parts, equipment and services. ILS is the first, largest, and most active business-to-business electronic marketplace serving these industries. 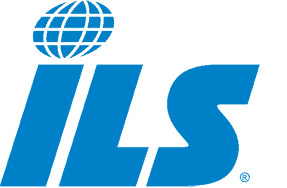 ILS’ Marketplace (ILSmart) is the premier site with over 25,000 members worldwide. Gain access to the largest global procurement network of subscribers in every sector of aviation. Find or sell essential parts and services, make better decisions, and rest assured that ILS’ dependability and reliability translates into true value for airlines, operators, manufacturers, repair centers, and suppliers. For the defense industry, ILS stands ready to provide the tools you need to do more with less, providing the community a single entry point to detailed parts and services, technical characteristics, and contract procurement histories. Members rely on ILS for everything from critical buys, managing obsolescence, finding solicitations, and extensive research. ILS is also a driving force in creating a marketplace that brings together marine buyers and sellers of spares, equipment, and services around the world. Locate marine spares, diesel engine parts, equipment, and services from a wide range of sources, including ship owners, operators, managers, suppliers and repair facilities. Finally, ILS is laser focused on expanding its B-to-B electronic marketplace to give customers advanced business tools and services. ILS employs state-of-the-art technology to ensure rapid information distribution along with maximum security and reliability. and engineering tool of a new kind. If you are interested in a Webinar about ACSIS, please sign in here. Experience a new intelligent and intuitive user interface. 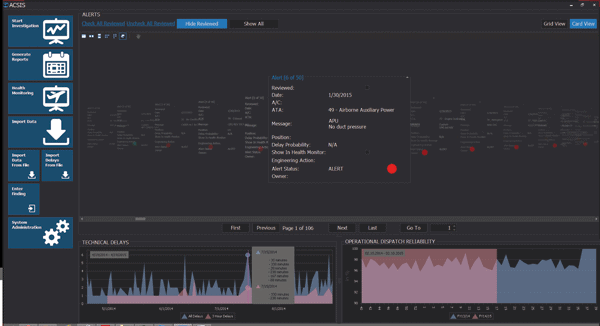 ACSIS redefines real time aircraft systems technical history visualization and alerting and saves you money and valuable time for your aircraft troubleshooters and engineers. ACSIS will alert your maintenance personnel about any problem experienced by your fleet’s systems or components and help you find a solution for it before it is too late. Our software uses a whole new philosophy and methodology coming from university research and tested for several years in a real airline environment. Our Labs recognized the lack of engineering data analysis tools for the aviation industry that bring real time data to the airline’s maintenance management and used new methods and technologies to create a unique software – ACSIS. ACSIS or AirCraft Systems Investigation Software is a new, very powerful and intelligent tool that will help boosting your fleet’s dispatch reliability and will save you huge amounts of money for every avoided technical delay. Every single element of ACSIS is revolutionizing. We brought a unique visualization method into the software that shows you the dynamic progress of your aircraft systems’ failures/ events. First tool of this kind that doesn’t use the standard alert levels per ATA , but a new method that alerts you about a specific problem your fleet or a single aircraft experiences instead. 21st century, touch optimized, Metro design in smartphone style for faster and intuitive entries and analysis. ACSIS is intelligently designed to avoid huge integration projects in your company. It is only a matter of days to integrate it. Here you can download the ACSIS datasheet. Yes, please send me more information concerning ACSIS and RSCC – Your tool for predictive maintenance. The Remote Systems Control Center (RSCC) powered by ACSIS ensures that you do not miss any important alert which might cause trouble on your fleet. We clean your data and tag each and every single unscheduled event with our ACSIS standardized descriptions. We analyse all ACSIS ALERTs in real time and filter them using human intelligence and provide you with them immediately after. We calculate the probability for a delay due to a certain problem on a specific aircraft to happen during/ prior next flight and inform you in advance. We provide you with a comprehensive, customized reliability report for your engineering and CAA. Here you can download the RSCC datasheet.